Lambs quarter, sometimes referred to as goosefoot for the shape of its leaves, is my favorite edible weed and is easy to recognize once you become familiar with it. As with any edible weed or wild plant don’t eat unless you are positive of its identification and that it has not been exposed to chemical sprays or pollution. So if you’re not familiar with lambs quarter refer to a good edible weed field guide or consult with someone who is familiar with the plant before eating it. Lambs quarter can frequently be found growing in vegetable gardens, on disturbed soil, and along the fringes of fields and banks. The plants can grow to about four feet in height with multiple branches forming off of a main squarish looking central stem. Lambs quarter leaves often have a white, pollen-like substance coating their undersides. The leaves and stems are edible and absolutely delicious, with a flavor that can be compared to spinach or chard with an earthy, mineral rich taste. It’s difficult to describe, but if you enjoy leafy greens such as kale, collards, and spinach you’ll love lambs quarter and enjoy the change of pace provided by its distinct flavor. When cooking lambs quarter the easiest preparation is to simply steam the leaves and stems in a small amount of water until tender. The greens will cook very quickly and turn a dark green color as they shrink down during cooking. The cooked greens are delicious just as they are with no additional seasoning or flavoring necessary. The young leaves and smaller stems can also be eaten raw in salads. Or you can experiment by substituting lambs quarter for spinach or chard in some of your favorite recipes. Forage for wild lambs quarters around your landscape or allow a few plants to grow in the garden amongst your vegetable and herb plants. A few seed suppliers sell a cultivated variety of lambs quarter or Giant Goosefoot called “Magentaspreen.” This variety has an attractive magenta hue on the young leaves and stems. To harvest lambs quarter just cut or snap off the youngest and best looking branches from the top and sides of the plant. Learn to identify lambs quarter and you may be surprised to find it growing up all around you. Once you steam a batch of the fresh leaves and stems the biggest surprise may be just how much you enjoy the taste of this plant that you previously yanked from the garden and discarded. A friend who had grown up in the south & came to live in the northeast took me into her vegetable garden one day to show me what she was growing. I was very surprised when she proudly pointed to her Lambs Quarter and told me she had cooked them the night before. Yes, I had been pulling them out as weeds & meanwhile she was eating them! I haven’t tried them yet, but after reading this maybe I finally will. I got to poke my nose in here every once in a while to see what you are up to. This winter we have been eating lots of wild radish here. The bolts- including the flower buds and the top two or three leaves have been a big hit. I chop them up, stems and all, wilt them in olive oil, throw in some chopped onion and garlic while they wilt – and yum! There are lots of lambs quarters in the neighbors field. Maybe I will give them a try too . . .
We love lambs quarters here in Ky. It is one of my daughter’s favorite veggies. Every few years I allow one or two to go to seed in the corner of the garden to insure a constant supply. I am trying to identify lamb’s quarters. Have you a picture? Sundra, I haven’t seen any clear pictures of lambs quarters on the Internet and I always hesitate to post pictures of edible wild plants to avoid confusion and possible misidentifications. You’re better off taking a look at an edible plant field guide in a bookstore or locating someone that is familiar with the plant and can point it out to you. Be very careful when identifying wild plants that you’re not familiar with. They generally aren’t difficult to recognize, but it’s so much easier when you find someone that can mentor you regarding edible weeds. We are organic herb farmers in Tennessee. I have been receiving your newsletter for awhile and just wanted to say how very much I enjoy it. Always learning something new from it’s contents. This month is the Lambs Quarters, I will certainly be educating myself on those and having them on my table very soon. Your garden looks lovely and delicious! Please i really need a picture of this. I have recently been identifed as having a severe allergy to it. I can’t find a picture anywhere any help you have would be great. Also is Pigweed included in this group? If so could you send pics if you have it? Hi Becky, I just happened to take some pictures this weekend of Lambs Quarters that were growing in a greenhouse. I attached the photos to the entry above. I believe that pigweed is related to Lambs Quarter, but it is a different plant and I don’t have any photos of it. I looked up lambs quarters on your website because our incredible and wonderful Park Slope Food Co-op in Brooklyn New York, sells them very fresh and inexpensive. I am so excited to try it. I got a big bunch for around a dollar, and they’re very fresh! what does the lambs quarter root look like? According to this article Lamb’s Quarters is classified as a poisonous weed, containing both nitrates and soluble oxalates that can cause death in livestock. Humans who eat large quantities of Lamb’s Quarters and are subsequently exposed to sunlight suffer photosensitization (Whitehead and Moxon 1952, Cooper and Johnson 1984). Beware! Debunkifier, I’d like to know their definition of “large quantities” and what amounts would be classified as a hazard. I wouldn’t make any edible weed or wild plant a staple in my diet, but I personally have no reservations with eating lamb’s quarters. You could probably conduct research and issue the same types of reports about other popular and commonly consummed plants and vegetables including spinach greens. Under certain adverse environmental conditions (drought) many weed and crop plants accumulate nitrate to potentially toxic concentrations. Nitrate-accumulating weeds include pigweed (Amaranthus spp. 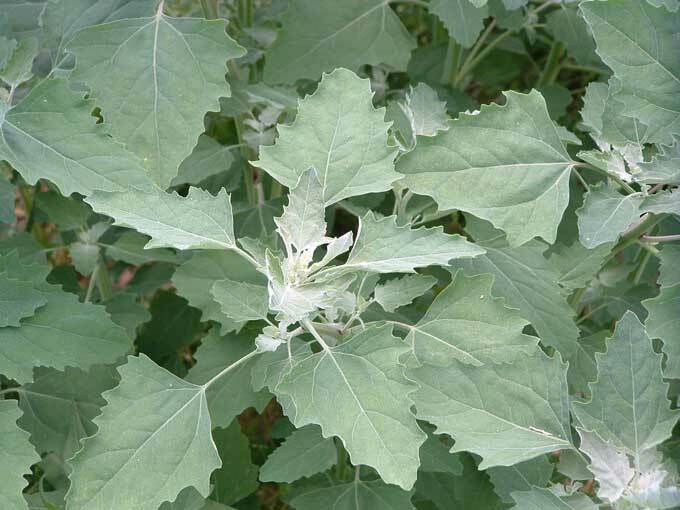 ), lambsquarter (Chenopodium spp. ), dock (Rumex spp.) and nightshades (Solanum spp.). Potentially troublesome crop plants include corn, sorghum, oats, barley, beet tops and wheat. Toxic principle: nitrate. Nitrate is reduced in the rumen to nitrite which is the ultimate toxin. Toxicity: as a salt, nitrate is toxic for ruminants at 0.5 g/kg (single oral dose). Forages containing > 0.2% nitrate and water containing > 1000 ppm are potentially toxic. Plants can accumulate 3 to 4% nitrate under appropriate conditions. Nitrate is not very toxic for monogastrics since it is not efficiently reduced to nitrite. However, nitrite is toxic for monogastrics. Unlike cyanide, nitrate does not volatilize and therefore dried forages are toxic. MOTA: the iron in hemoglobin is oxidized from ferrous to ferric iron. This results in the formation of methemoglobin. Methemoglobin has significantly reduced oxygen carrying capacity. Clinical signs: dyspnea, sudden death, “muddy” mucous membranes, “brownish” appearance to blood. Laboratory diagnosis: significant methemoglobin, high serum, ocular fluid or other body fluid nitrate concentration (> 20 ppm in serum or body fluids, > 50 ppm in ocular fluid). Measurement of high levels of nitrate in plants or water. ü A 1% solution of methylene blue is generally given at a dose of 4 to 15 mg/kg at 4 to 6 hour intervals. Methylene blue is reduced to leukomethylene blue, which in turn reduces methemoglobin. Test forage prior to feeding. Ensiling high nitrate forage may lower nitrate concentrations to acceptable levels. My family and I have been eating lambsquarter for since the 1800’s. My family is from New Mexico and lambsquarter is called quelites in spanish. We harvest them from the wild and sometimes my cousins will insist they have them as part of their birthday dinner. We saute them with a little bacon, onion and garlic and sometimes combine them with fresh cooked pinto beans, Yummy! When we moved to California our neighbors always thought we were crazy picking weeds (lambsquarter and purslane [verdolagas]) to eat for dinner. The other day my neighbor was sharing information she had read about certain greens that restore cells and can help reverse the aging process (living longer). These greens she was talking about are the ones we have been eating all along. Many of my family are over 100 years or have lived past a 100 (grandparents, aunts and uncles). Can Lamb’s Quarters be bought at health food stores or on the internet? Thank you, all you wonderful people who love Lamb’s Quarter(s)! Years ago when my sons were qyite young, a lady (no longer a resourse) took me into her horse pasture and introduced me to a tall plant, the young leaves of which she picked and cooked for me. It was Lamb’s Quarter! What a DELICACY! The sweet taste is it’s own – not at all like the taste of spinach – and I want to grow some in my garden. Could one of you harvest a few of your seeds and send to me?? P L E A S E ?? Thank you!! Please send to Betsy at P.O. Box 1265, Athens, TX 75751, and may your garden grow with great abundance because of your generosity!!! Hi I have some Lambs Quarter seeds I would be willing to send to you Betsy… Please email me at smwon1@gmail and I will see what I can do. I have been pulling these plants from my garden, corn and pumpkin patch for the past 18 years. I have asked my mother-in-law to help me identify the Lambs Qtrs, but she never remembered what they looked like. I recognize them from the picture provided above and realize we have them growing all over our corral and mixed in with our crested wheat grass. Guess I will have to try some tonight with some onion and bacon bits. Thank you for helping me identify this plant. Lambs quarters has always been a favorite of mine to munch while I work in the garden. I do pull some of these as weeds, but always leave enough to eat and make seed to reproduce. When I do pull the excess as weeds, I always chew off (graze) the tops first. It’s good to find others into this garden delight. As I had already been promoting lamb’s quarters, I was elated to find support in this wonderful book. Thanks for the great information. I’ve been so excited about edible wild plants since I learned that acorns are edible. There is good food all around us! I have Lambs Quarter coming up all over my vegetable garden. I have known for years from my herb books that it was supposed to be edible and I also read more recently that it is way more nutritious than spinach. I have had no luck in getting spinach to produce much in my current garden and in a passing thought, I wished lambs quarter would come up in quantity for me to use and there it is! I have nibbled the leaves raw many times and found them so mild and kind of sweet. I used to feed them to a neighbor’s rabbits and they loved them. I wondered if there is any problem with eating too much? I would use them anywhere I would use lettuce or spinach if there is nothing in them that would be a problem. They are yummy even when they get bigger and they will get as big as you let them, like 3 or 4 feet tall! Thanks for the information. I just wanted reassurance that it is ok to eat lots of these delicious vegies. You can buy them from various seed catalogs and dealers online also. Here in Kansas, they seem to grow anywhere the soil is disturbed. I agree, it is difficult to describe the flavor of lambs quarters. I just picked off a leaf today and I think it very much tastes like asparagus. Yum! I am definitely into the lambs quarters this spring. The last month I have had 2 edible varieties of bamboo putting up new shoots. I have been using the bamboo shoots and onion in an olive oil sauteed stir fry, to which earlier in the season I was adding fresh asparagus and now snow peas. I also grow shiitake mushrooms, so of course those are part of this dish, but most deliciously, I have been picking a good handfull of about eight inches off the top of the lambs quarters, and cutting it up , stem and all, to cook with this dish. I find it difficult to remove these plants that come up so readily and provide such great free food! I intend to live over 100 and wonder what the source of Jerome Brito, #16’s, information was about restoring cells and reversing the aging process? Wow, this lamb’s quarter is good for being a weed. I’m eating some young plants with mustard greens right now :). I left the state for a couple weeks, and when I came back this stuff was all over my garden. I recently got some plant identification books for hiking, so I looked through them and found out that this weed that was taking over half my garden was edible. My grandparent’s eat a lot of greens and other weird stuff like pokeweed, so I think I’m going to pull a lot more of this and give some to them. I use Lambsquarter raw in fruit smoothies for my family. Imparts a lovely green color and it is so mild and delishious! I heard someone call “GREENS” Solidified Sunshine and isnt that just about right?? Susan, I wouldn’t argue with that definition of greens and I love to add lambs quarters to smoothies also! Thank you for sharing this! We are trying them today for the first time. Hi Philip, I’m not aware of any lab analysis on the nutritional make up of lambs quarters but leafy greens in general are considered nutritionally dense vegetables. It is interesting how widespread many of the common wild edibles are, and lambs quarters are one of my favorites! God Bless you too! I read your article on Lambs Quarter. I grew up in New Mexico, and Lambs Quarter was something we gathered along with purslane. I would like to know if you have Lambs Quarter seed of sale. I don’t have lambsquarter seed for sale, but here are links to a couple of suppliers that carry the seed: Wild Garden Seed and Nichols Nursery. Thanks for the article. I have been eating Lambsquarter in South Dakota and Minnesota since 1973. I thought they were nuisance weeds until I read an article in Mother Earth News that same year. They have been my first food crop of the season in my garden ever since. It seams that you just need a tilled garden (or construction site) and God plants them for you. I even saw them in Mongolia when I was there in 1999. They will produce all season from early spring to late summer. Just harvest the tender branches of the mature plants and more branches will appear from the same plant later. The seeds are higher in protein than wheat. Leave some mature plants with seeds for next years crop. The wind will scatter the seeds, and in the spring new plants will grow without any effort or expense on your part. I am a city dweller and I am desiring to relocate to the country. As I get older, want to see green trees, flowers, natures beauty, want simplicity, relaxation, to be able to see the stars more clearer, grow my own food because I love eating lots of fruits and vegetables. Now when I try to eat junk foods it does not taste good anymore because I have been eating so healthy. In the process of getting a Healthmaster juicer to make smoothies and juices. Wish to eat only “organic” fruits and vegetables but tired of paying with my entire check….this is not the way God designed it to be. We are suffering as a nation because we are too dependent on others to feed us, clothe us etc., Its time to get more self-sufficient. Please send me information about how to grow yellow squash, carrots, peas etc., Lambs Quarter is great. I found out about it at an organic farmers co-op in another state. Feel free to send a comment to me or write me at P.O. Box 17234 Philadelphia, Pennsylvania 19105. Any information about gardening, rural living, moving to the country etc., would be great. I am ready for a new and simplistic life. I am ready to get in tune with nature…GOD! Hello Pauline, a lot of people feel just like you do and are interested in growing more of their own fresh organic produce. You’ll find lots of helpful information posted here and at other similar websites. I will also be publishing a free vegetable gardening eBook that will be available for download in the next month or two. I am looking for Lambs Quarter seeds. Do you have them? Hi Karen, I don’t have Lambs Quarter seed, but comment #44 above has a couple of sources listed where you can obtain seed from. I am now 84 year’s old. As a boy in rural Oklahoma, my mom would send us out to collect Lamb’s Quarter for her to cook as greens complementing our meals. It was considered an edible weed. We found much of it growing along with planted gardens, along fence rows, ditches, etc. As I recall, it was just as edible and flavorful as spinach or collard greens. I do not recall having it as a food anytime since my childhood days. I recently visited a relative in Oklahoma and found very healthy stands of the “weed” growing near their garden. After showing illustrations and verifying the identification, I am sure they will soon be utilizing the newly found herb in their meals! I have commented here before, but wish to give my continued affirmation to lambs quarters. I eat plenty raw and love to add them to my saute dishes, such as bamboo shoots and shiitake mushrooms. They have outdone my salad beds by far and took zero effort to get started. Interestingly my county farmers extension office asked me to identify something brought in to them. At one glance I knew it to be smartweed. I told them I believed it to be edible, but that I would check. Yes, when I got home, I was able to confirm that it too is edible and then discovered that it is growing profusely among the area where I have allowed my lambs quarters to grow. So here is an abundance of another nutritious “weed” growing around the nutritious “weeds” (lambsquarters) that I have practically come to cultivate by merely allowing to exist as I continuously graze on them. Life is good and the world is plentiful in the abundance we have been provided. I am coming from Romania and the lambs quarter is very popular there, so I am telling to a lot of people about this weed of which they have never heard of, but I did not know the name of it in English till today 6-13-10 when I have told to one of my client, and when I showed her the plant she said that it is called lambs quarters, but she did not know that it is edible, now she knows and I know it’s name. I would like to know what does it contain, like vitamins, minerals etc. I just took home some lambs quarters from an abandoned weedy area on my way home from the train. The world looks much different when you eat weeds. In that same field there are lambs quarters, sow thistle, burdock, bee balm, stag horn sumac, milk weed, wild grapes, mulberries, wild carrot and cat nip. Near by in the land scape there are service berries, nanny berries and purslane (as a weed). Up the trail there are black raspberries. On my way home there are choke cherries (when ripe and dried quite good), black walnuts, wild apples, wild chamomile, and curly dock. Garlic mustard is everywhere. In my yard I have lambs quarters, violets, wood sorrel, chickweed, wild lettuce, dandelions (love the root coffee), thistle, and garlic mustard. Picked at the right time it either substitutes, bests or completely excels beyond any supermarket fair. Another route has black locust flowers which went into blue corn bread in place of sweet corn. There is no substitute. Near my dentist there is a preserve where there is much of the above but with the addition of gooseberries. When I go a little out of my way there is even more like acorns, soloman’s seal, false soloman’s seal, high bush cranberries, wild mustard, cattails and beyond. James-WOW! do you live in Texas? if so, around what area? I never knew you could find so many edible plants in Texas! and I think I’ll buy some…is there any particular growing conditions it needs? I’ll only have some sun that hits my balcony (south-facing but has a overhang that keeps sun from shining on it more than a couple of hours) but lots of water access. What does everyone think? 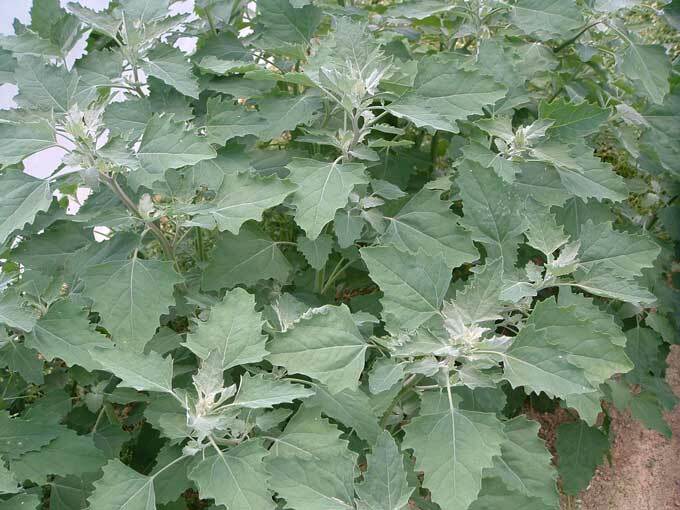 Does lambsquarters have a chance in a partially shady area? James, mine grows best in full sun, but I have a lot growing (naturally) in the shade, too. It isn’t as ‘bushy’ but it is growing enough to pick a lot off. I pluck the leaves off, leaving the stems, then several more leaves grow back where the one leaf was. And no, it isn’t too late to start some. I have big tall ones, and a bunch of new ones just coming up, too. It will grow/produce all the way up until frost. (Then, I have read that you can make a walking cane out of the stalk.) If you have electric access to your balcony, I suggest considering grow lights. Now, if you want to grow potatoes, try it in a large plastic bag. google (grow potatoes plastic bag) or something like that. I’ve been eating raw lamb’s quarters since I was able to walk, it seems. They are very prolific in Northeastern Oklahoma … about all that is necessary to promote their growth is to get rid of the grass that would otherwise inhibit them (they sprout soon after the soil has been tilled) Nutritionally speaking, they are far better than spinach. Lamb’s quarter is tolerant of shade, and enjoy frequent watering and well-draining soil. The picture provided in the article is a fair example; this plant looks much the same through it’s entire period of growth. It propogates through seed as well as roots, and is not difficult to keep around. If one is blessed enough to have a good supply of this plant, one need not worry about planting spring greens, for domestic agriculture has yet to produce it’s superior. Bill Case- would you happen to have any recipes from your mother? No, Sophia (I love the name, same as my latest great granddaughter!) I don’t know the recipe, but as I recall, just cooked slightly in a little water until completely wilted — same as spinich or other greens. I always ate cooked greens with a little vinegar. I made a pizza recently and clipped a handfull with a scissors into small shreds which went on the top. Often I will add a double handful chopped the same way into a stir fry. Try cooking the greens with pasta, in the same water, and then top with your favorite sauce, mine being pesto. I really eat a lot of them in the garden, raw. Chris, You ask about the chances of growing lambs quarters too late or in partial shade. I’ve never “tried” to grow them; they always just appear, but as opportunistic as they are, I would imagine they would love the chance to grow with your assistance. That would be great tentfire! I’ll e-mail you shortly. I’m excited about growing lamb’s quarters. I have a small balcony and it would be really great to grow as much food as I can if you can boost your health, save money and save the earth all at once why not?! Makes sense to me. Mary, thanks for the info and the link to that site, it looks like a very good resource. Need help to properly identify Lamb quarter (Chenopodium album) and not mistaken with Mexican tea (Epazote, or Chenopodium ambrosioides). Does anyone have pictures showing the differences for these two? Hi Verlisa, here is a post with epazote photos to compare with the lambsquarters pics. Once you handle the plants you will be able to tell them apart with your eyes closed as epazote has a very strong, distinctive, and pungent aroma. Does Lamb Quarters has yellow flowers, tiny ones? Verlisa, I honestly can’t say that I’ve ever noticed flowers on lambs quarters. I know they get those tiny round seed pods but I have to look closer to note what they display in the way of any true flowers. i was raised on a small family farm been eatin lambs quarter near 40 years love it steamed, boiled and raw I count on it everywhere I go. I’m a type II diabetic, no drugs or insulin full diet control and when I’m out and about working or whatever and i start feeling low i just look around for the lambs quarter and fill up. Would be interested how u care for type II diabetic without drugs, like to help my mom. I just want to make sure I truly identify lamb Qua before I eat it…trying to learn. Do u have pictures of Lamb qua? With the help of my wife our observations and analysis helped us plan out our garden in the smartest and the most creative way as possible. I was looking up foods high in oxalic acid and lamb quarters rank 1 with 30% of the value (1). For comparison asparagus contains 0.13% of the value. Oxalic acid combined with calcium to form calcium oxalate or kidney stones (2). If I draw the connection correctly, eating too much lamp quarters is not good for anyone with kidney problems or prone to kidney stones. I learned about lambs quarters from a Mexican family that lived down the road from me when I was a young girl. I have eaten them many many times for well over 50 years. I am now 63 and in fine health. As with any food or anything…moderation is always the key. You would harm yourself eating only steak or only one vegetable and the same with lamb quarters. Be sensible and you will live a long and healthy life. The seeds of lambsquarters can be mixed with the seeds of other plants that are eatable..such as plantain and June grass and with pollen from the cattail and a cereal can be boiled up from them..or you can dry them and pound them into flour for breads. Think about this: Quinoa, a lamb’s quarter relatives have seeds that are equal to the protein of an egg so lamb’s quarter seeds must be similar. I make bread, pizza dough and pancakes with the lamb’s quarter seeds and regular flour. Very Nutritious!!!! I live in Oklahoma and was told about lambs quarters by my mom several years ago. It has been a tasty treat every spring since then. I love to have cornbread with it. Does anyone know how it got its common name? Great article! I’ve been wanting to get more edible weeds into my diet (I’m a big fan of Green Smoothies – so I already use parsley, kale, spinach, chard, and dandelion leaves). I’ve concluded that the weeds that grow by the hundreds in my raspberry patch are almost certainly lamb’s quarter – I’ll take some to a local greenhouse to verify before I start eating them (fried with garlic and bacon sounds really yummy, too – my kids may be willing to try that). Just wanted you to know lambsquarter does reverse aging. I eat this everyday during the spring to fall and even harvest it to freeze for the winter. Nothing is better then this wonderful vegie. Best of all it’s all free going in your garden. I do cook it after boiling and add to onion and bacon. Yumm! I have what I believe is lambsquarter but it gets purple dots on the leaves. Does that cause any problem? It grows like crazy in my garden but I won’t keep pulling it if it’s edible. Just throw it in a blender and you are good to go. Fabulous on pasta or pizza! We eat lamb’s quarter weed all the time! Has anyone tried freezing? Does it need to be blanched first or can one put it directly into the freezer? I used to gather and can them… they are my favorite greens other than kale! I first learned of Lams Quarters from my neighbor a retired professor. He’d often be found out in his yard harvesting his evening meal from the “weeds” in the grass. I tasted the raw leaf he gave me but had no more until several years later when my cousins wife prepared a bowl of steamed Lams Quarters for lunch. I’ve enjoyed it ever since, both raw and cooked. J Hannah, I never thought of making a pesto with Lams Quarters. I snagged your recipe. I love lambs quarters! My former hubby is a biologist, & we ate lots of ‘weeds’ inc lambs quarters, dandelion, nettles … so I’ve eaten for years. My middle granddaughter (7) loves greens, there are lots of these running wild in their garden. We call lambs quarters ‘Emily Spinach’ – she can harvest & cook them herself. This year I’m growing Amaranth & Quinoa – you can really see the family resemblance in Quinoa! Local Farmers had bunches of Magentaspreen at the Market (which you mentioned – http://articles.sfgate.com/2005-12-17/home-and-garden/17405251_1_spinach-organic-gardeners-magenta-pink ) with it’s lovely fuscia tips. I fell in love with it’s joyful appearance in salads, so ordered seed from Nichols, & also some orach, another relative. I’m planting them in my fall garden (I’m in Western Oregon), & will see how they do there. I also thought of making pesto, as I’ve done nettle pesto – thanks for sharing your recipe! I lightly blanch the nettles (< 3 minutes, so they still have their enzymes) before whirring with the other ingredients. Here's a fun pizza recipe: http://www.glutenfreeforgood.com/blog/my-new-favorite-gluten-free-pizza-topping – These are quinoa – but you could easily use lambs quarters. Not much being said about gathering sites. I was delighted to find a huge crop in my flower bed grown on barn scrapings. I collected the seed heads and forgot them in the garage. Mice had visited them so I decided to plant them in the spring rather that eating them. Before spring came, I’d read about the nitrogen concentrating and was glad the mice had spared me. I’ve had trouble with heavy metals so worry about sources. Have some lovely dandelions that didn’t take to the lawn weed poison used a few years ago. I’m shy of havesting the dandelions. Any tips on where to find dandelions away from areas likely to have been treated with weed killer? Hi Patric, in my case the front yard is a safe untreated zone for harvesting dandelions. I also allow a few plants to grow right in the garden and am just careful to harvest them well before they go to seed. Colitas, quelitas, lambs quarters or wild spinach how ever you spell it or what you call it people have been enjoy this delightful weed for a long time. The following recipe is just one way to enjoy quelitas. I don’t cuss’em in my garden I eat’em, I harvest the plant, pull them up by the roots, shake off the dirt, cut off the roots which goes into the compose. I store the whole plant in the crisper, the best size for harvest is from seedling to about 12 inches tall at that size you can eat stem and all. Anything taller the stem is woody but you can still pick the leaves no matter what size and they can grow be 10 ft. tall and be like a small tree to remove. They will store for weeks, I layer them in lasagna or enchiladas add them to stews and soups cookies and muffins and I add them to a salad for free. I have seen them dried and coated with chili and honey like sweet – hot chips. I am now working on how to use the seeds, kind of like poppy seed. The seeds are higher in protein than wheat. Leave some mature plants with seeds for next years crop. The wind will scatter the seeds, and in the spring new plants will grow without any effort or expense on your part. We’ve just started eating lambsquarters from our yard and are just cooking them in a little meat fat or coconut oil, adding to eggs, tonight adding to venison. I’m curious about the latest concerns about eating lots of greens and the oxalic acids. Anyone have thoughts on this? We had a friend come by yesterday who is an herbalist and she walked me around the yard pointing out all sorts of things! We’ve been eating our dandelions, but she also showed me the lambsquarters, plantain, solomon’s seal, shepherd’s purse, burdock, mullein, gooseberries, wild grapes, wild sorrel, and more! what a feast out there in our little ole town yard! I have tons of Lambsquarters growing in my garden. I’m wondering if anyone knows what the dark white stuff on the top surface of the leaves is. I’m not talking about the powdery white underside. This white stuff looks like bird poop but I know it is not. None of the other plants in my garden have it except Lambsquarters. It is some sort of scale or fungus? Are the leaves with this white stuff still edible? I also have very similar looking plants growing among the Lambsquarters only the leaves are longer – more elongated almond shaped without the ragged edges. Could this be Lambsquarters also? Hi Stacey, I believe that I’ve seen the white stuff that you referred to. It looks like an abnormality in the leaf or possibly signs of disease and is usually isolated to a small portion of the plant. I have always discarded the parts of the lambsquarter plant that was affected and did not eat it. The other plant may be the same but I wouldn’t speculate without seeing a photo. We discovered a couple of years ago that lambs quarter is edible. Between that and the dandelions and the plantain, we most definitely don’t need to buy any salad mix… The lambs quarter is so prolific i think we could feed an army off of it! The white “fuzzy-looking” speckles on lambs quarters is perfectly safe and perfectly natural. In fact, those leaves are the most tender and delicious of them all. As I have stated before…I have been eating lambsquarters for over 50 years. Enjoy these lovely gifts of nature..and you will live a long and healthy life. cream well and serve cold. A weed is a plant whose virtues are yet known. There are also analyses for many of the other lesser known crops you feature. 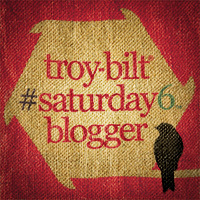 Thank you for the many interesting things I’ve read on your blog over the past couple years. I’ve been enjoying Lambsquarter for 7 years now. Each year the growing mound gets more and more. Must have over a thousand plants now. Just wilted some up with danilion greens and mallow. I have so much of it growing in my back yard! all the above comments are helpful….good in rice pasta, brown rice, on pizza (we make spelt crust with vegetarian cheese and the lambsquarter for the flavor and nutrition). I throw it in my milkshakes, it does not give a taste in it, and its added raw nutrition. We make hummus too (blend tahina/sesame paste with chickpeas, lemon juice, salt, garlic and apple cider vinegar…and add chopped lambsquarter to it after its blended). 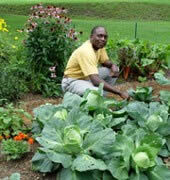 It is something else you can grow in your yard which is definetly NON GMO, easy to grow, no cost, etc. It grows SO easily. Does anyone have any extra lambsquarter and/or stinging nettle seeds they would be willing to share for cost of postage? Fran, I have extra lambsquarter seeds and am willing to share with you for cost of postage. Just send me a self addressed stamped envelope. Hi John: Thank you so much. What is your address? Should I also include a little baggie? I am out of town and just now checked e-mail. Thanks again. I will get envelopes out to you as soon as I get youraddress. I have not tried these before. How do you eat yours? also have stinging nettle on our farm (I think) but I just always called them “sticky” weeks. They do have LONG TAPROOTS, so when I find out for sure if they really are nettles, I’m going to try them too. Has anyone checked out the iPhone app link on this page under “Stuff You will Love” section. The app is called Vegetable Tree – Gardening Guide. I just downloaded it and I must admit it is really helpful and extremely beautiful. I believe it has 46-50 vegetables right now but I contacted the support person and they told me that they add new vegetables every week. The app allows me to write notes about my vegetables and then I can even share them on Twitter and Facebook. It also gives me a timeline when I can harvest my vegetables. It has the planting instructions of each vegetable and also good companions and bad companions. Hi I would love to try some seeds. I am almost sure I have seen these before but not quite sure. Getting some seeds would remove doubt and keep me from eating a potentially toxic plant that looks like what the pictures of Lambsquarters are. Thanks in advance. I can pay postage and supply the SASE and baggie if needed. I have purslane if someone wants to do a trade. Wow, great post. I learned a ton, but most importantly, that my garden is FULL of this stuff. Guess what is for dinner tonight :-). Thanks to everyone who contributed ideas and recipes. For those of you mentioning oxalic acid, from what I have read, all greens have them, but they are slightly different in each. That is why you vary your diet and do not eat too much at once, just like any other food out there. Even too much water is bad for you. My yard has been previously sprayed quarterly with insecticide for years. If I quit spraying, how long before I can safely eat the edible weeds that pop up, such as Lambs Quarters? Thanks so much. Hi Claudia, that is a complicated question and one that I can’t answer. 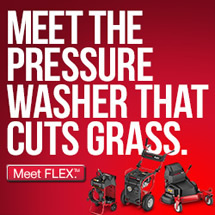 In part I’m sure it will depend on what your yard has been treated with in the past. The best thing would be to stop spraying, check the label of the insecticide for cautions, and have your soil tested by a company that can check for soil contamination levels. Also start making and applying compost to your yard if possible. While goosefoot and lambsquarters are of the same genus, they are different plants. In the picture you have shown goosefoot. If trying to identify lambsquarters you would be looking for a different shaped leaf, and while they are similar, they are different plants. I am trying to grow these for over 2 months and nothing, it grows extremely slow and cant stand itself, it seems to be a very difficult plant to grow and I am very frustrated, I cant believe that I cant grow this, anyone can please advise? I am also trying to grow purslane and having the same problem, the seedlings are so small weak and slow to grow its amazing that this is a hard to kill weed and at the same time impossible to grow, or I must be really stupid, I have over 30 plants in my house no problem but these weeds simply wont grow for me, very frustrating! Thanks! 3 years. At least that is the time USDA requires for farmers to become organic, after 3 years no spray you are organic. So one can assume that after 3 years no residue will be found. I hope this helps you. I live in ohio. They are spread out throughout the yard, however, they have a cluster of about 20 plants, all over a foot high, under my evergreen. it has been pruned about 5 or 6 ft up, and they grow great directly in the pine needles. it seems to infer they like carbon based, or active soil. they seem to actually like partial shade too, but I’m not sure. in my yard, they are doing best in the shaded areas. it’s been around 85 to 90f on average lately and they seem to love it.